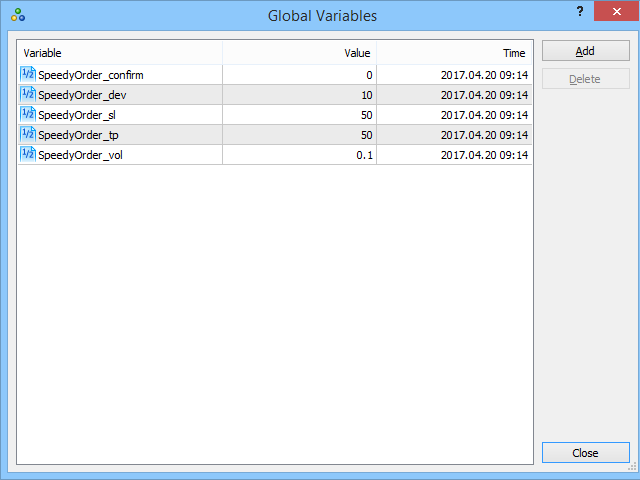 With this script is very fast and easy to place an Sell Order by Market Execution. 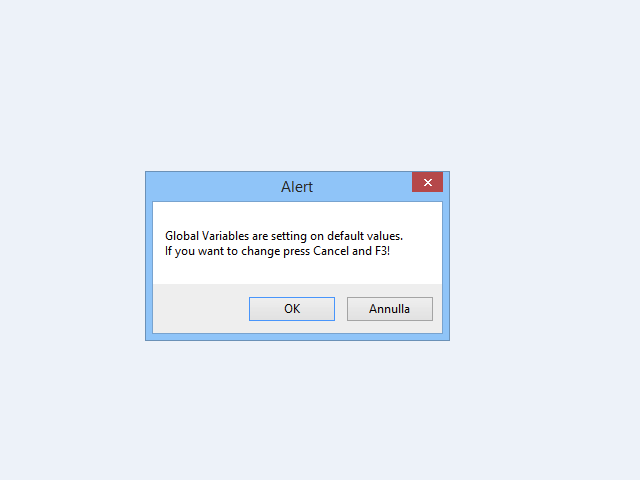 At first run, the default parameters are saved into Global Variables. With the F3 command can be changed at will, these settings will be used each time you use it. Remember that the Stop Loss/Take Profit set will be added to the minimum stop. The minimum stop allowed by the broker is the sum of spread and stop level defined by the broker. 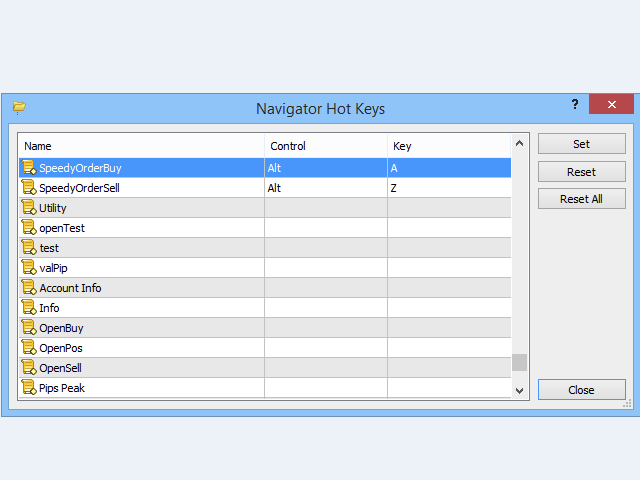 Setting Hotkey for this script for example Alt A it will very easy to open Order with your favorite parameters. 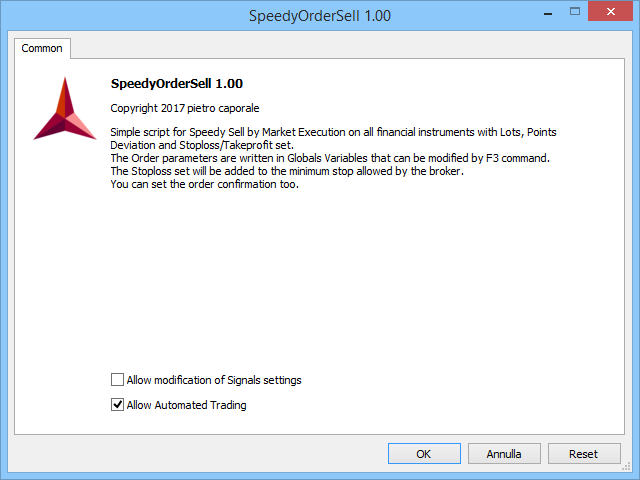 If you like confirmation message box before to enter the market just set SpeedyOrder_confirm variables to 1. 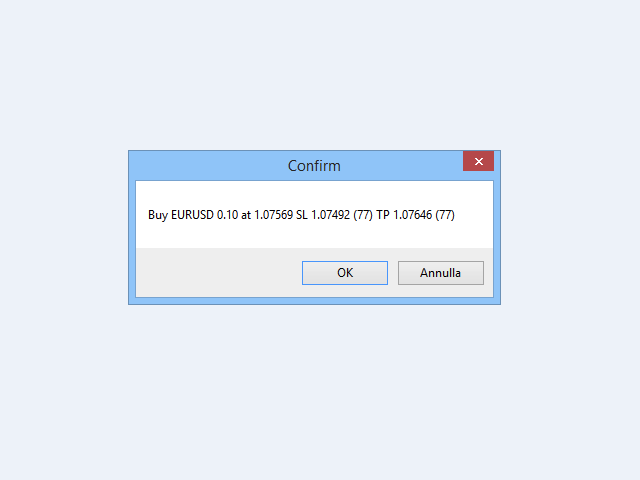 This demo script work only with EURUSD symbol. The paid version work with all symbols.